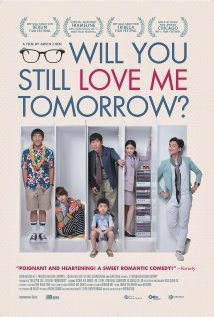 In this comedic romp, introverted optometrist Weichung begins to question his marriage with his wife Feng upon learning of her desire to have another baby. At his sister’s engagement party, Weichung bumps into an old friend, Stephen, a wedding photographer who, though also married, is living the high life of a younger, single gay man. When Stephen teases Weichung for his newly straight-laced lifestyle, dormant emotions are awakened in Weichung, setting him off on a quest for true romance and desire.